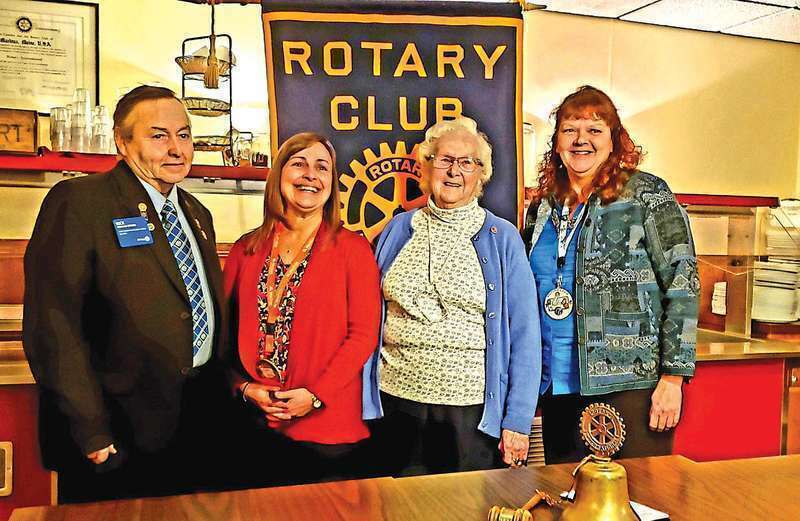 Machias Rotary Club organizers surprised Valdine Atwood with a prestigious honor called the Paul Harris Fellow recognition, which they bestowed at their weekly meeting held Tuesday, Feb. 5 at the Bluebird Ranch Family Restaurant. The Paul Harris Fellow is given by the Rotary Club in honor of an individual’s exceptional service to their community. Along with the honor, the club made a $1,000 donation in Atwood’s name, which will support the charitable work of the Rotary Club nationwide.